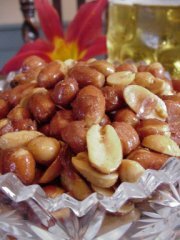 Large spanish nuts roasted in peanut oil and lightly salted. A hit at your next party or just a snack on the go! !